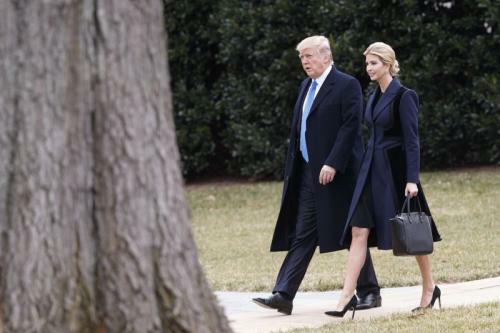 The White House press pool was caught off guard this afternoon, when President Donald Trump made an unannounced trip to honor the returning remains of a U.S. Navy SEAL killed during a weekend raid on an al-Qaida base in Yemen, AP reports. Trump was to arrive Wednesday afternoon at Delaware’s Dover Air Force Base. Chief Special Warfare Operator William “Ryan” Owens, a 36-year-old from Peoria, Illinois, was the first known U.S. combat casualty since Trump took office less than two weeks ago. Three other Americans were wounded in the operation, which was planned by former President Barack Obama’s administration but approved by Trump. Trump is also expected to join Owens’ family for a private ceremony. The trip was not on Trump’s public schedule. A small group of journalists traveled with Trump on the condition that the visit was not reported in advance.